Comment: My kitchen sink is not draining. My plumber said it probably needs to be jetted out because when he snaked out the line it came up covered with grease, the couple of times he snaked it. I've lived here 4 years and it's been fine during that time. I have no experience with septic systems. My granddaughters are coming to stay for the weekend while their parent are away so a functioning kitchen sink is really necessary. Hope I can get this done today and will accommodate any time someone can get here and take care of this. Thanks. Comment: Residential house that is due for the septic to be pumped - I don't think it's been pumped in many years. Trying to get ahead of any problems we might have! Comment: How much does it cost to have our septic tank pump out. We gave a 3 bedroom house with 3 people living in the house. Manchester Center Septic Tank & Well Services are rated 4.87 out of 5 based on 10 reviews of 5 pros. 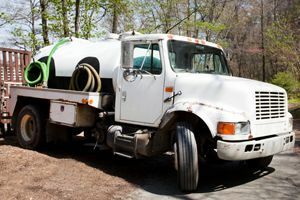 Not Looking for Septic Tanks & Wells Contractors in Manchester Center, VT?